Looking for a little extra sparkle in your life? Check out this hot new celebrity look to see if this beauty trend could be the solution for you. 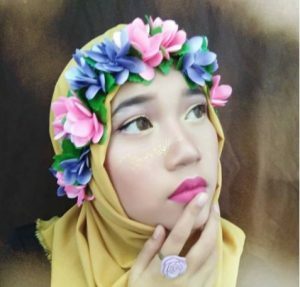 Fairdescent make-up combines the flowery beauty of spring with the glitter and sparkle of any luxury night out to create a look that stuns and enchants. Fairidescent make-up is a combination of “fairy” and “iridescent” and there’s really no other way to describe it – this make-up takes the natural glow of a fabled forest nymph and adds in all the glitter and gloss of the high life. If you’re looking for a stand-out look for a date night that will make your partner fall under your spell this summer, look no further. 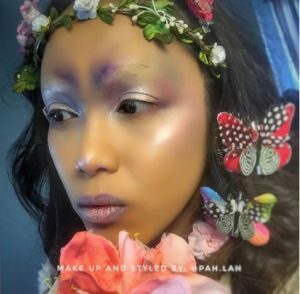 Fairidescent make-up is the beauty trend that will help you sparkle and shine in all kinds of summer weather this year, and make every moment seem just a little more magical. This beauty trend will sprinkle some pixie dust on your summer and fill you with happy thoughts! What are some ways to incorporate this look into your every day style? 1. Sparkling Brows: For a look that will draw attention and make heads turn, try this daring look that combines all the glitter of a night on the dance floor with the gentle natural essences of a fairy queen. The most daring part of this look? The brows! Use a little of this glitter-tastic fairidescent make-up to highlight your brows and add some shimmer to your forehead for a beautiful and eye-catching look that will leave all your admirers totally charmed. 2. Sprinkle of Glittery Freckles: Add some character to your face with this sprinkle of glittery highlighter across the nose and upper cheekbones, lending a sense of the supernatural to an otherwise ordinary look. These sparkles double as a great replacement for a cute spatter of fairy-like freckles, and will have you looking shiny and new this summer as you smile and simper in the sun. 3. Shimmery Lip: If you’re going bold with your eye make-up when it comes to glitter, why not adopt this look and complement that shine with a shimmery lip. 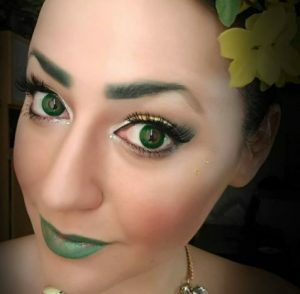 The shiny green will draw eyes to your pretty pout, and will complete your sparkly look while still alluding to the green and natural side of things that help take this look from glitter girl to flower child. 4. Shiny Nails: Add a little sparkle to every wave of your hands with this glittery and glam manicure that takes fairidescent coloring to a whole new level. 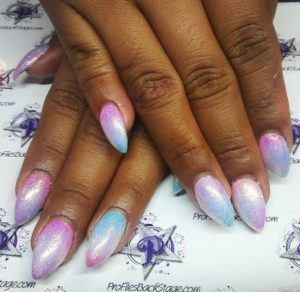 With varying pastel colors and an undeniable starry shine, these nails are perfect for a complementing a fairidescent make-up look and tying the sparkling style together. 5. 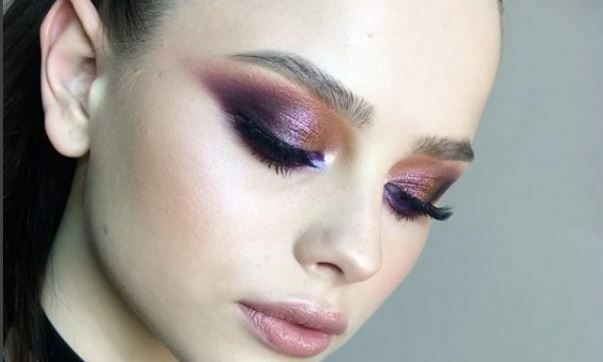 Bright and Bold Eyeshadow: Just because you’re channeling your inner sprite, doesn’t mean you can’t graduate from perfect pastels to courageously bright colors! 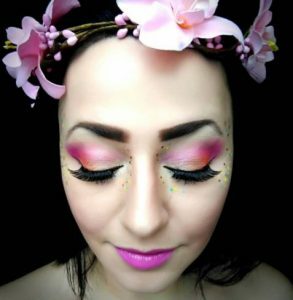 Even if you’re still looking for that fairidescent look, add some bright pink and deep orange for variation and sprinkle some glittery dots in complimentary colors around your eyes for some added mystique. Bonus points if you can find a flower crown to match! And just like that, you’re the new fairidescent fairy queen this summer! What do you think of this new beauty trend? Gorgeously glittery or so many sparkles you can’t think straight? Let us know in the comments!